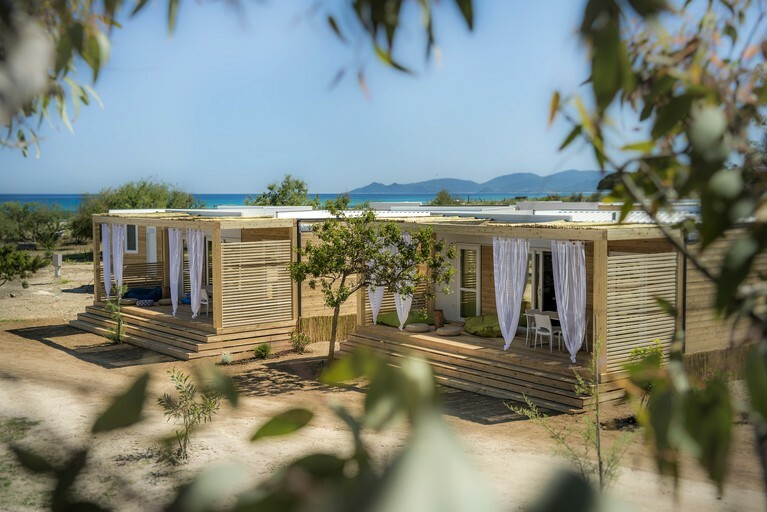 These pet-friendly glamping mobile homes are located on the beachfront of the Costa Rei in the southeast of Sardinia, Italy, and are perfect for a luxury beach getaway with the whole family. 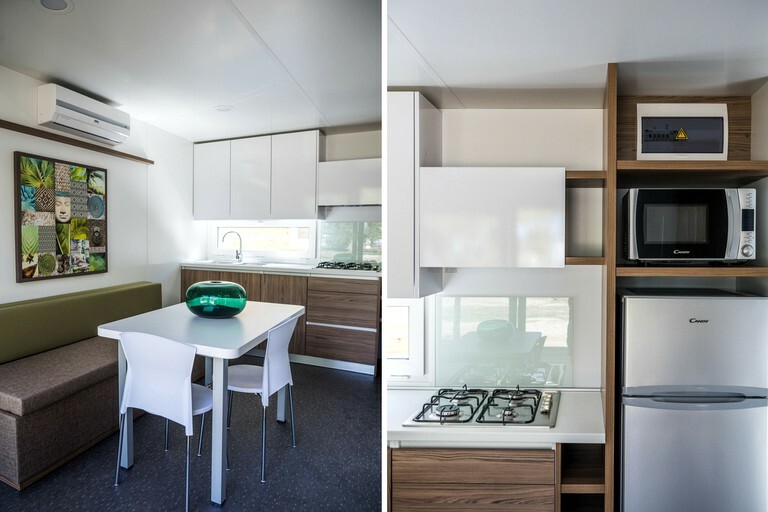 The glamping mobile homes can accommodate between two and five guests with each home featuring two bedrooms, one with a double bed and one with two single beds. There is a foldout sofa bed in each living room that can sleep an additional two guests if required. 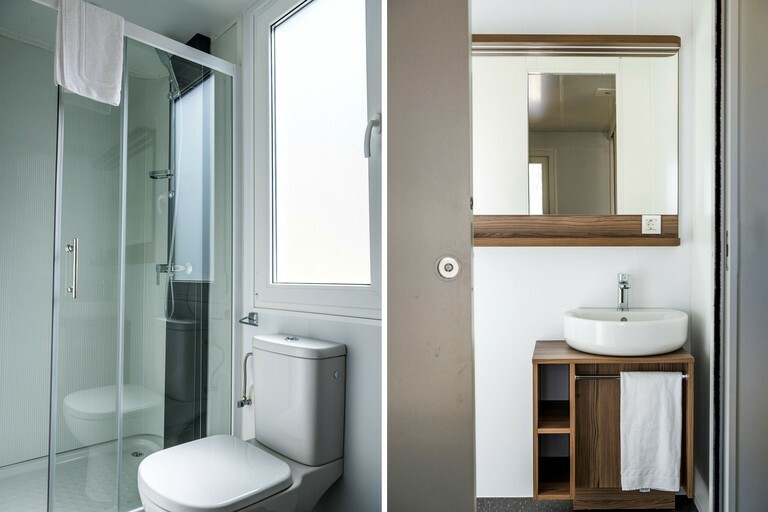 Pet owners will find plenty of space to share with up to three dogs as well as having access to one of the most beautiful dog-friendly beaches in Italy just a few steps from the front door. This resort combines the feeling of being immersed in nature with having access to different cultural and entertainment activities. You can taste fine traditional food at the resort’s restaurant and you’ll also find an ice cream bar and a pizzeria. 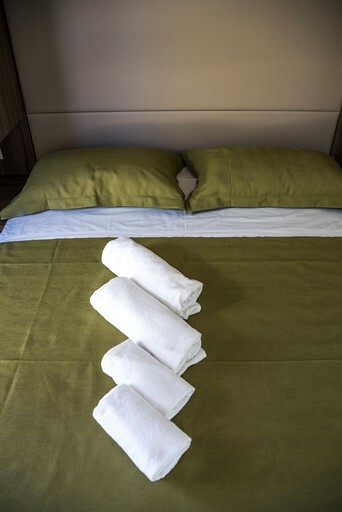 You will have access to several sport facilities such as soccer, basketball and tennis courts. 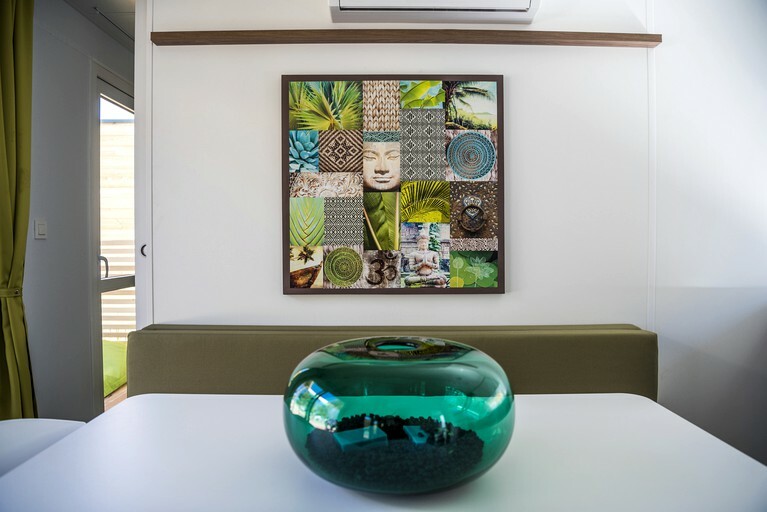 If you want to take care of your body and your mind, this is the place to be: you can practice ayurveda, shiatsu, or pancafit and yoga, or have a reinvigorating massage at the wellness center. 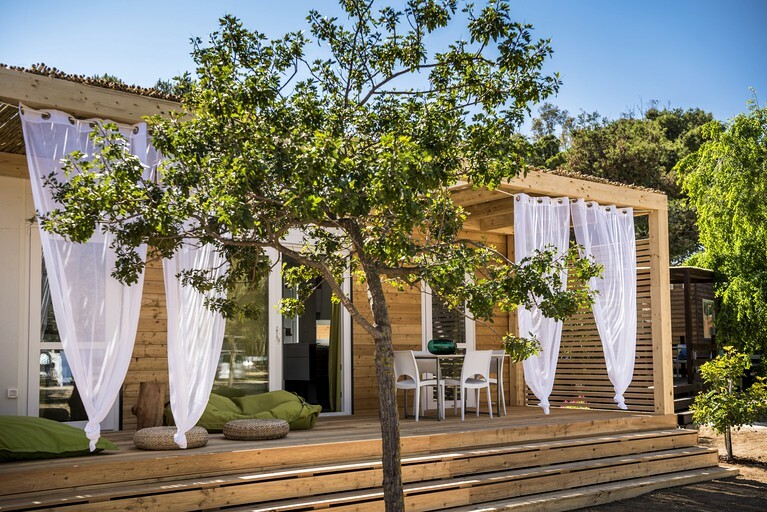 This property is an eco-sustainable four-star resort in the south east of the Sardinian island, in the middle of the Mediterranean: guests can relax and enjoy in bungalows and cabins, just few steps away from the beautiful Costa Rei long, white beach, in the south east coast. 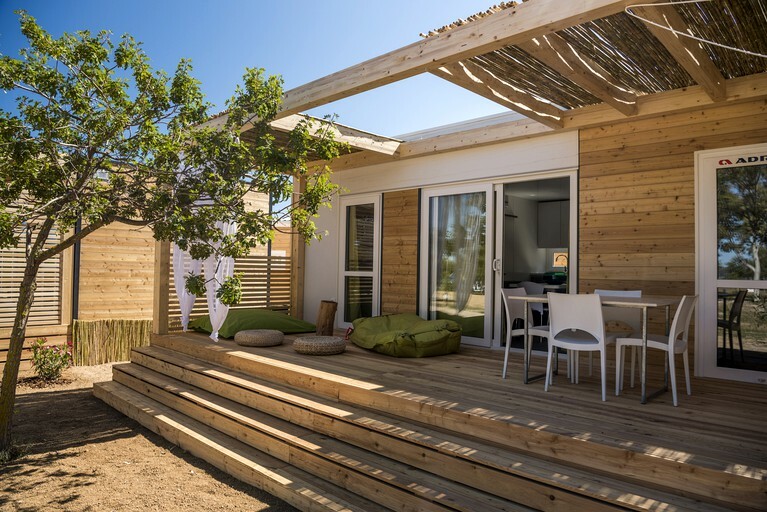 Awarded in 2016 as one of the four best European resorts in the “accommodation” category, as the best Dog Beach, and as the best Glamping and best pet-friendly resort in Italy, Tiliguerta is dedicated to travelers who would have never thought about the "campsite" as an opportunity for vacation, and to those who think that contact with Nature is an essential must-experience travel. Restaurant with pizzeria, market and coffee shop with excellent healthy, local and organic food & drinks. 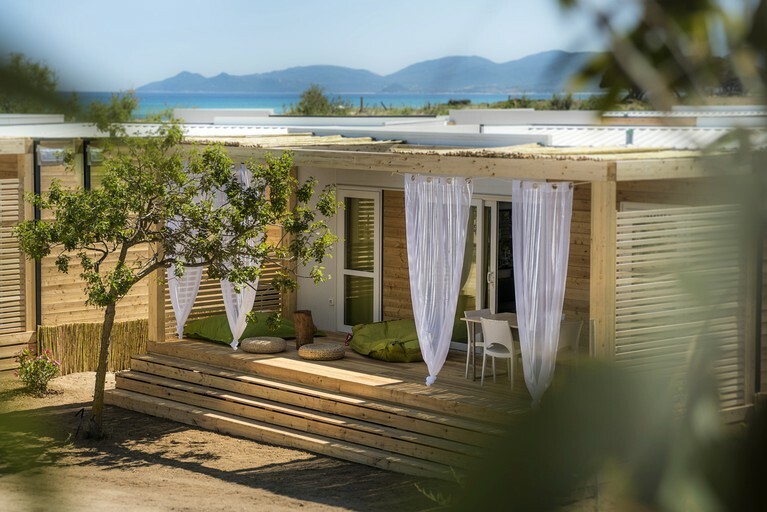 A wide range of outdoor activities such as trekking, mountain bike, hiking, climbing, sailing, windsurfing, snorkeling and diving into the protected area of Capo Ferrato are available, plus sports such as tennis, basket, ping-pong, five-a-side football, beach volley. From the end of June to the end of August concerts and other events are held at the amphitheater. If you want to alternate some down time with different activities, you’ve got plenty to chose from! From sailing to trekking, from horseback riding to windsurfing, you will never get bored during your vacation!